But what does your veterinarian actually do? If you think veterinary medicine is about animals, you’re only partially right. Animals don’t call veterinarians. People call veterinarians. The vast range of people and places needing veterinary services include research laboratories, pharmaceutical companies, zoos, dairies, swine farms, public health departments, feed industry, livestock industry and pet owners. 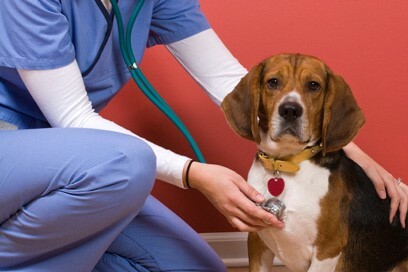 Veterinary medicine is a great field because it encompasses so many different areas. Most people don’t realize how closely human medicine is linked to veterinary medicine. Lifesaving medical advances, in areas from vaccine development to heart surgery, could not have been made without the use of research animals. 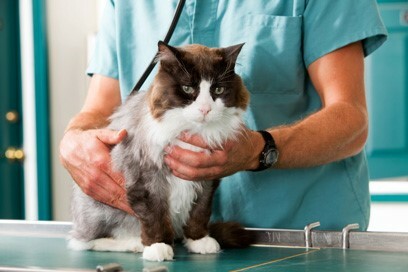 People may also be unaware of the public services that involve veterinarians. Government agencies from the FDA to state health departments rely on veterinarians to track rabies, foodborne illnesses and diseases transmitted from animals to people. Of course, there are many benefits to working closely with animals. One of the pleasures of being a veterinarian is that people who own animals love their animals, whether the animals are horses, pigs, iguanas or puppies. You are generally dealing with people with empathy who like what they are doing. They recognize that what is best for the animal is also usually best for them. For more information about World Veterinary Day, check out the World Veterinary Association’s website (LINK TO http://www.worldvet.org/). Call Animal Hospital of West Lake Forest today at (847) 234-2110 to schedule an appointment with one of our leading Lake Forest, IL veterinarians.